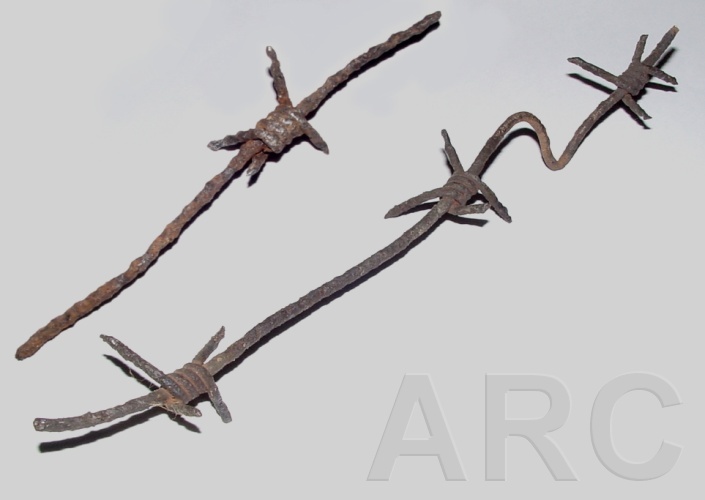 These pieces of barbed wire were part of the outer camp fence. 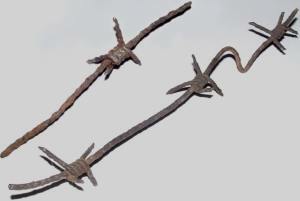 The barbed wire was nailed to pine trees. 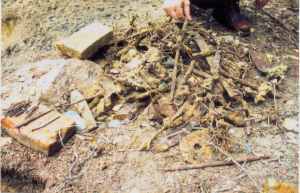 In 2004 remnants of that fence could still be found in the forest. 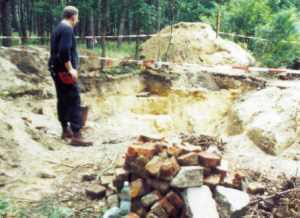 An approximately 3 m deep pit, a few metres west of the memorial statue. 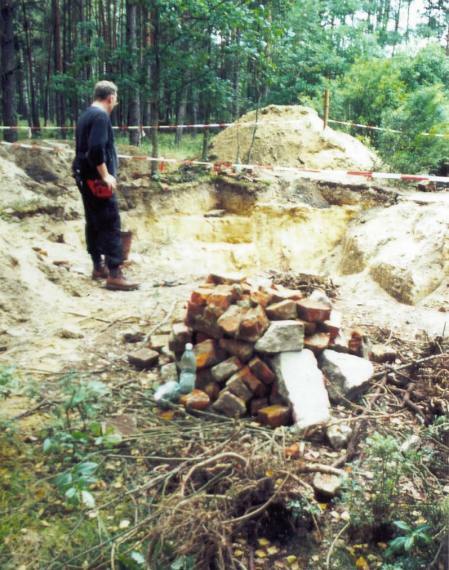 Here, where the gas chambers were located, some old bricks and other remnants were found in September 2001. 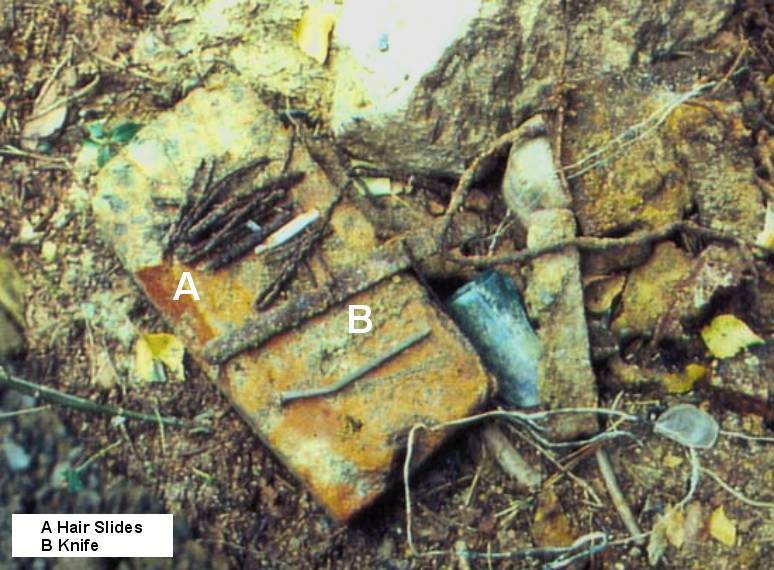 Different pieces of metal were found, also some rusty hair slides and pieces of broken glass. 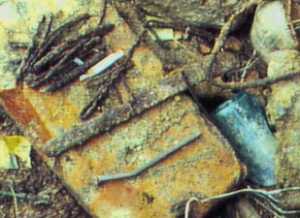 Enlargement: Hair slides and knife.